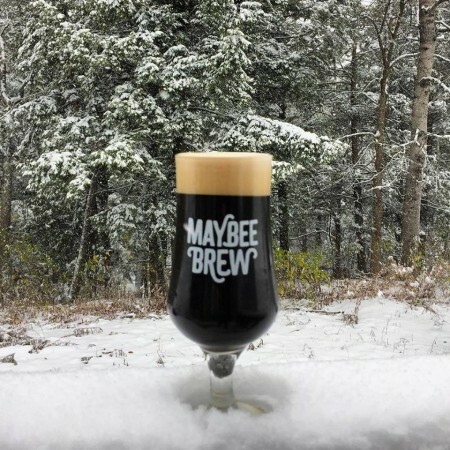 FREDERICTON, NB – Maybee Brew Co. has announced the release of a new seasonal beer brewed in collaboration with Hammond River Brewing. Appearance wise, this beer is dark as a mid November night. It has beautiful creamy mocha head with persistent Belgian lacing. Up front, the aroma has salted caramel, toffee, and clove. Dark stone fruit such as plum and raisin are present, along some malt sweetness and general spice. Taste wise, this beer has a medium body, and is well-balanced. Raisin, plum, and prune dance on your tongue while a hint of salinity, along with toffee and caramel arise from the Salted Caramel addition. A smooth spice and warming heat finishes with a velvety texture from the carbonation. The Sorcerer’s Apprentice will be going on tap at Maybee tomorrow (November 17th) at 12:00 noon. It will also be available at select draught accounts in New Brunswick starting next week. A batch of the beer was also brewed at Hammond River Brewing, with release details still to be announced.